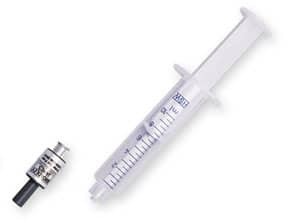 This simple device allows you to check the integrity of an OxyProbe membrane for leaks before use. Although the membrane is reinforced with stainless steel mesh, it is easy to damage the surface. A slight impact on a hard surface can damage the membrane and affect sensor performance. If cartridges are to withstand multiple cycles, it is critical to confirm the membrane has not been compromised from the prior run. A quick test with this device assures the membrane is in good condition.